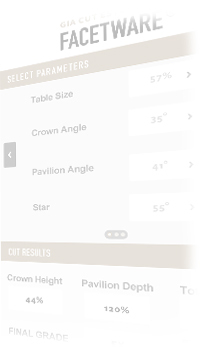 For an optimal experience on a mobile device, download the app to access GIA’s database of more than 38.5 million proportion sets. Click here to download (iPhone). Click here to download (Android). 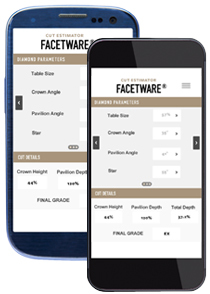 The Facetware App supports iOS 6, iOS 7 and Android 4.2, 4.3 and 4.4. Android is a trademark of Google Inc. Apple, the Apple logo, iPhone and iPad are trademarks of Apple Inc., registered in the U.S. and other countries. Visit gia.edu/facetware-mobile with your iPhone or Android phone.